RP52382 is rated 4.7 out of 5 by 20. Rated 5 out of 5 by Diane from Great Showerhead! 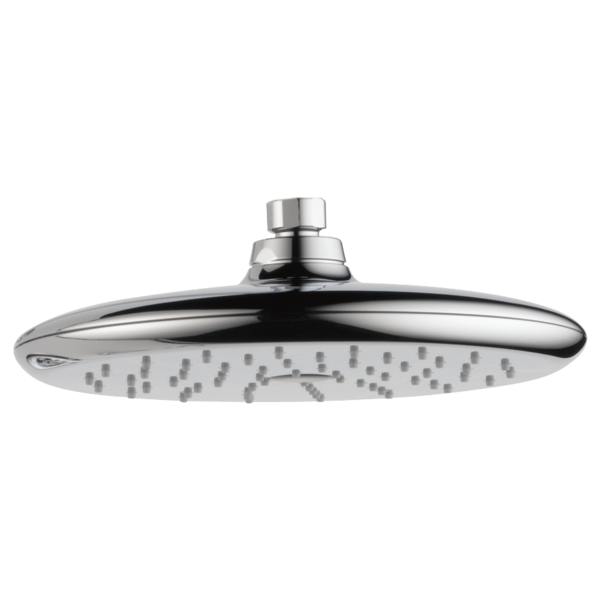 We recently remodeled our master bathroom and used this showerhead along with several other Delta products. The spray from the showerhead is large and very gentle. We also installed a handheld sprayer and 2 wall mounted sprays. We feel like we're at a spa now! Rated 5 out of 5 by Karen77 from Awesome rain shower. Rated 5 out of 5 by Rbeasley3 from Love this shower head! 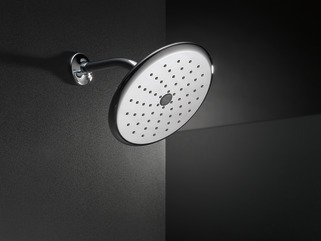 I absolutely love this rain fall shower head. It is amazing!! Rated 5 out of 5 by Creekmom28 from Great Product! We LOVE this rain shower head! Great addition to any shower. You can turn the water on and stand in the shower without getting wet while the water warms up. We use this shower head daily over the normal shower head. Rated 5 out of 5 by Oldgoat from Great shower Bought this and it is simply wonderful! 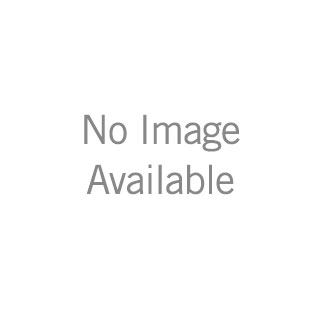 Rated 4 out of 5 by norton from Big Improvement My home came with Price-Pfister fixtures throughout. The shower heads in the master bath failed after two years. I got new ones under warranty. The replacement shower heads failed after two years. I gave up on Price-Pfister and bought Delta shower heads. They work great. No problems. A definite upgrade. Rated 5 out of 5 by dar from Perfect! This is an excellent shower head! Perfect size and works very good. Rated 5 out of 5 by Carol from Delta RP52382 - 8-3/1/4 Remodeled and upgraded a bathroom. This shower head was all I expected and more. Far exceeded my expectations. what is the diameter of shower spray? Can this shower head function well at an angle on the wall like a traditional shower head? I realize this shower head is a raincan shower head, but since the flow is &quot;full body spray&quot; at 2.5 gpm, I'm wondering whether it will function well if used in a traditional shower head setup with a short arm extending from the wall and the shower head at an angle. Hi there, what other products do I need to purchase to completely install this rain shower? 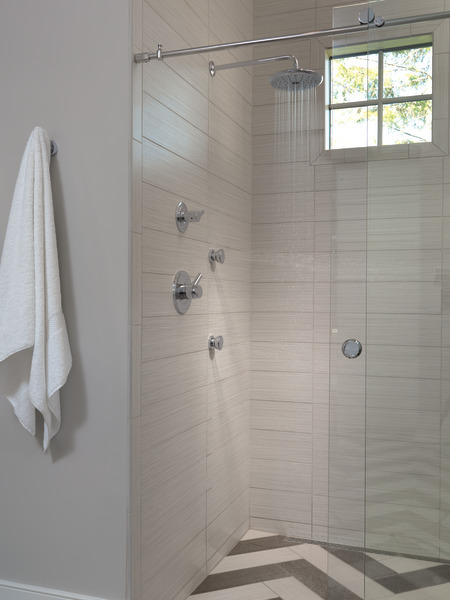 What is the recommended height for a raincan shower installation? Do you have a photo of this shower head installed in the &quot;traditional format&quot; -- not sure if I have enough height to install with the U6930 based on the height of the pipe from the wall. Does this shower head (RP52382) swivel to change angles? Also, is it able to be mounted on an S curve arm? 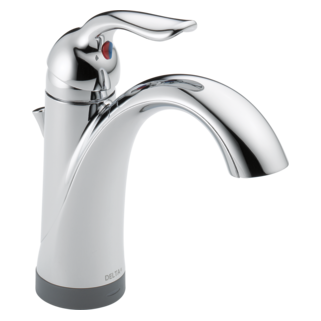 Will the shower head RP52382 work with the faucet Delta 134900? 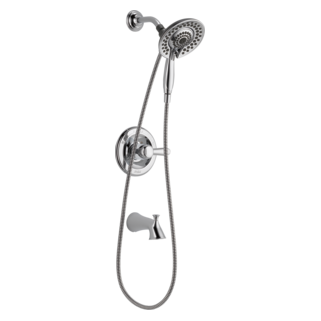 Will the shower head RP52382 work with the faucet Delta 134900? This is will be installed in a bathtub. 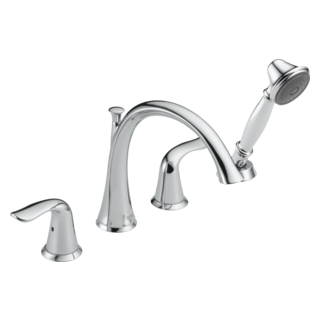 There will be a bathtub spout and the only shower head will be RP52382. From the faucet, 1/2 inch copper ell, then 1/2 inch copper pipe will travel horizontally about 20 inches over then a 1/2 inch copper ell, then 1/2 inch copper pipe for another 30 inches horizontally, then a 1/2 inch copper ell, then vertical 50 inches of 1/2 inch copper pipe to a 16 inch shower arm that points the shower head down. Will this work? Will this provide enough water/pressure to shower, wash, and rinse? Any issues? Thank you in advance. What shower arm do you recommend in polished brass? I want to attach to a Delta U4929-PB-PK brilliance polished brass diverter.